This morning Baby Minnie was sleeping in and Tink actually wanted to cuddle in my lap. Selfishly wanting to keep her there just a little longer, I suggested we look at photos. After a few shots from a past WDW trip, Tink wanted more of the parade. 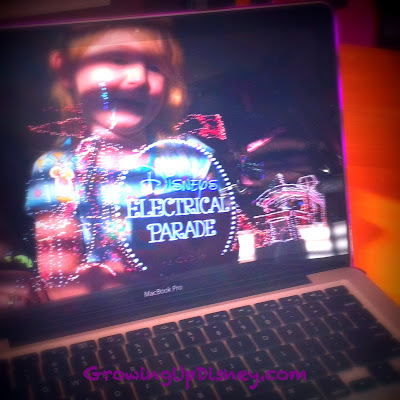 So off we went to YouTube and I searched for "main street electrical parade." She loved it, asked tons of questions (as three year-olds do) and wanted more. We ended up viewing MSEP from two sources and then "Celebrate a Dream Come True" aka the current 3:00 parade. On our vacation in May, we happened upon "Move It, Shake It, Celebrate It" and both of my girls seemed to enjoy it. We didn't try to wait for the afternoon or evening parades. We knew there would be opportunities in the future and it was just too hot to stake out a spot. I am hoping Tink can see a parade or two in November. Minnie will only be 17 months at that time. 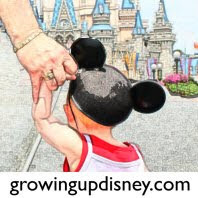 As you are preparing your family for a Walt Disney World vacation, take advantage of the videos on YouTube and other sites. This will help you judge your child's interest level and help you decide if you want to claim your piece of curb early or just find one more air conditioned attraction. Also, if you have a child who may be afraid of a particular attraction, watching videos at home is a good way to show them it's not really scary. Yes, you may ruin a surprise here or there but I'd take that over a meltdown in a queue any day.